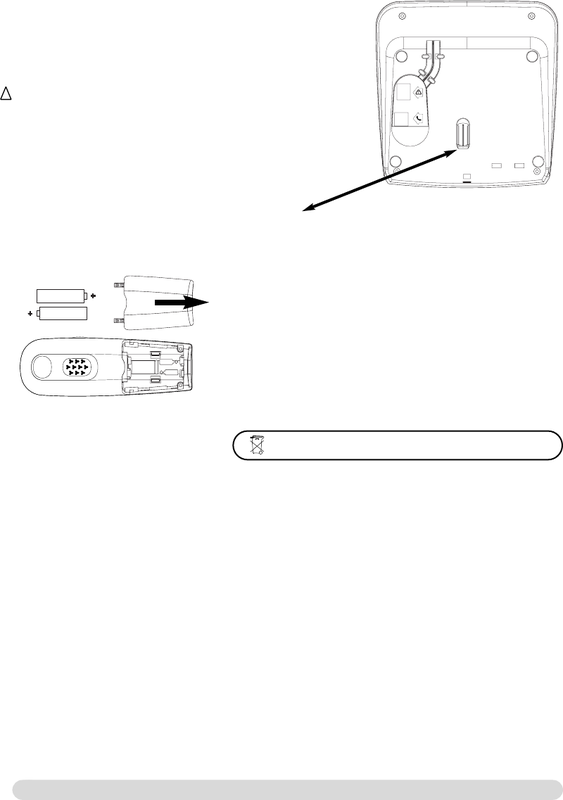 indicates that the phone is properly installed. close to the apparatus and is always easily accessible. Warning :Always use the cables provided with the product. few minutes before seeing symbols on the display. mandatory R03/AAA NiMh 600/650 mAh. when charging. Always use rechargeable batteries. to be charged, if this is during a call, the call will end shortly after the alert. Optimal battery life is reached after 3 cycles of full charge/discharge. the call will be cut off.To reach optimal range place the base station away from electrical appliances. Batteries should not be disposed of with general household waste.